Decentralized Robot Wars on the blockchain! 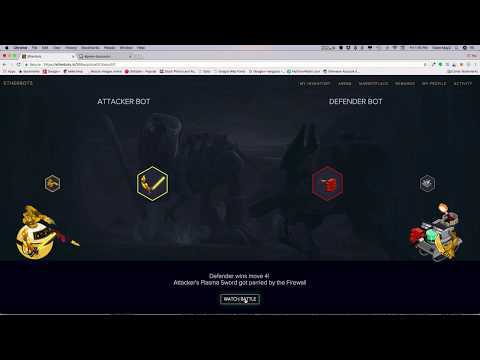 Etherbots is a decentralized application hosted on the Ethereum network. It’s a Robot Wars inspired game where you collect parts and weapons, forge dynamic robots, and use them to battle others on the platform. Level up and discover rare parts by winning duels in the arena. Win — and you might receive a rare gold flamethrower to roast your enemies. Lose, and you’ll be rewarded with a common frying pan (which is about as useful as it would be dropping in the middle of Pochinki).